DP's Next-generation Pre-gen engine transparently pre-renders audio output from virtual instruments and plug-ins to dramatically reduce their CPU load, allowing users to run many times the number of plug-ins and virtual instruments than in previous versions. DP now significantly exceeds the CPU performance of many other popular DAWs. DP’s host buffer latency has been cut in half, resulting in industry-leading overall latency performance. In a round-trip latency (RTL) test using a MOTU 1248 Thunderbolt audio interface, DP achieved roundtrip latency of 1.6 ms with a 32 sample buffer at 96 kHz. The latency of the WASAPI (Windows Audio) driver has been significantly reduced. This improves audio I/O latency and virtual instrument performance. The CPU load of the sample rate conversion used in the Windows Audio driver has also been substantially reduced. DP's MOTU Audio System (MAS) engine processing has been optimized to better support operation at smaller buffer sizes (for both Mac and Windows), for even lower latency performance overall. 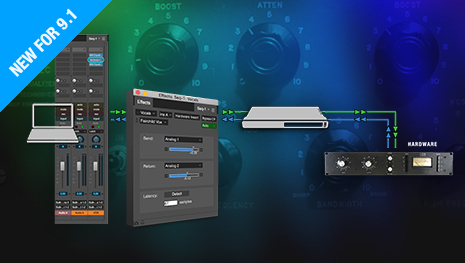 DP’s new Hardware Insert plug-in functions just like other DP effects plugins, but loops the channel’s audio signal to a piece of outboard hardware, with latency compensation, for external processing. 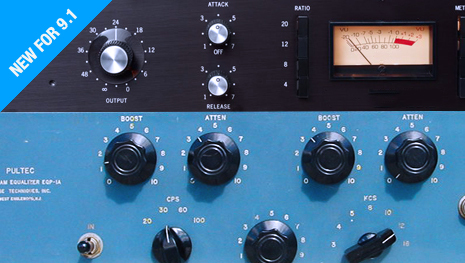 This allows DP users to easily incorporate outboard gear into their DP effects chains. 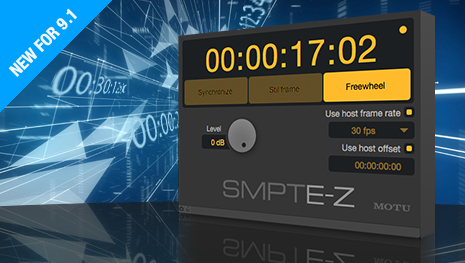 The new SMPTE-Z plug-in generates Longitudinal Time Code (LTC) while locked to DP’s timeline or while running independently in Freewheel mode. Time code can be routed anywhere via the audio track’s output assignment, allowing users to achieve accurate time code sync in a wide variety of situations. 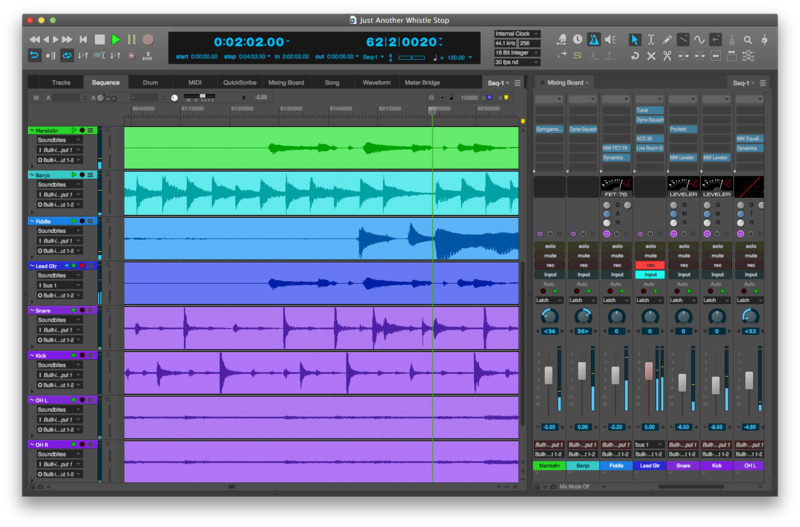 Dozens of additional workflow enhancements include a new pre/post fader metering option, faster switching between large sequence chunks, simplified audio hardware settings, improved compatibility with Avid Artist Mix and other Eucon control surfaces, and much more.